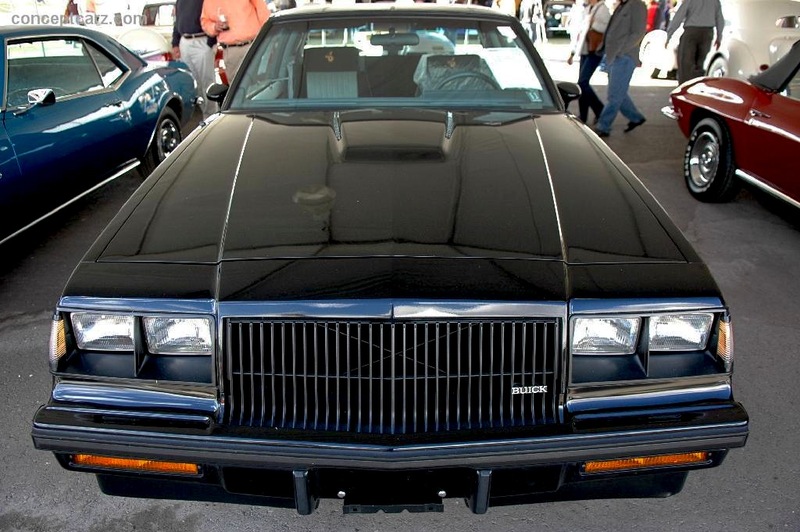 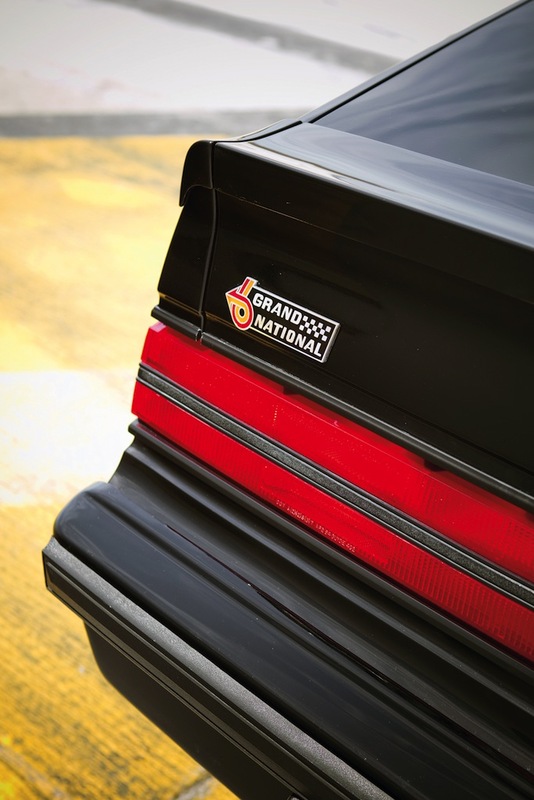 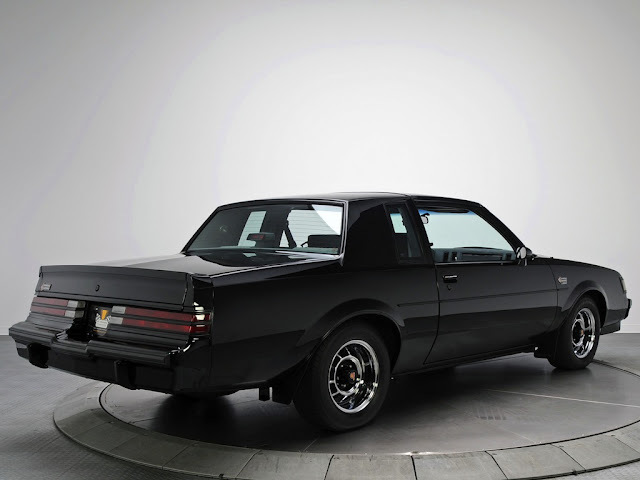 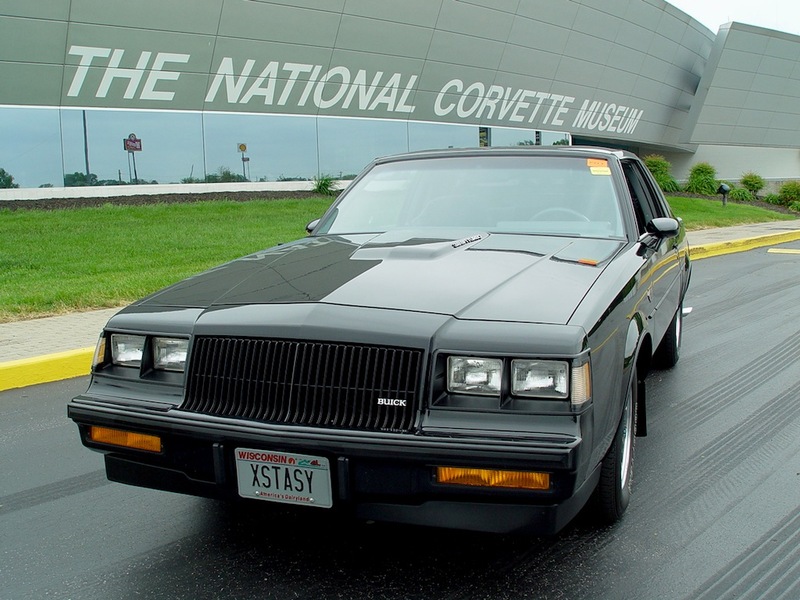 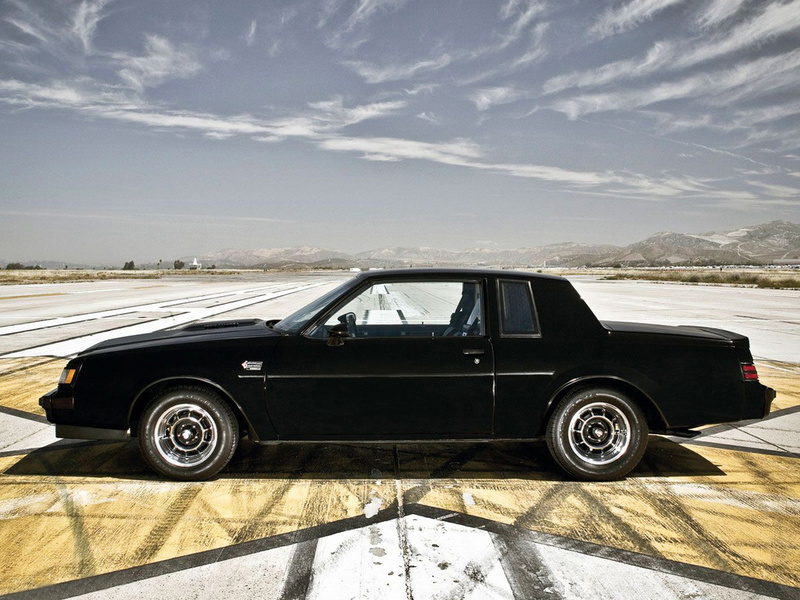 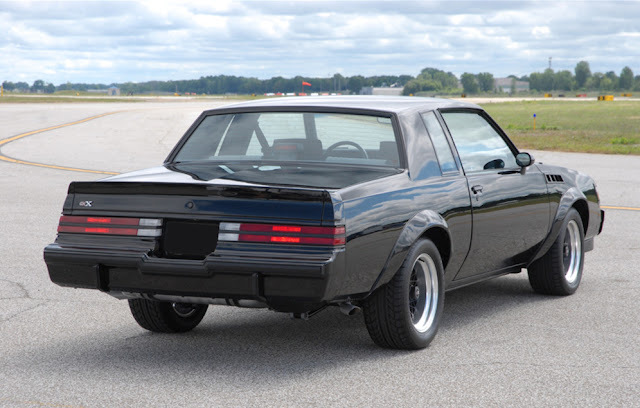 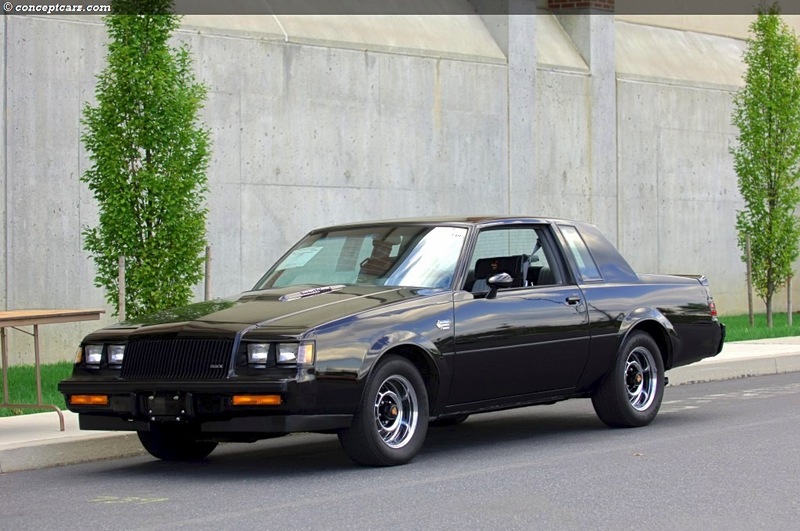 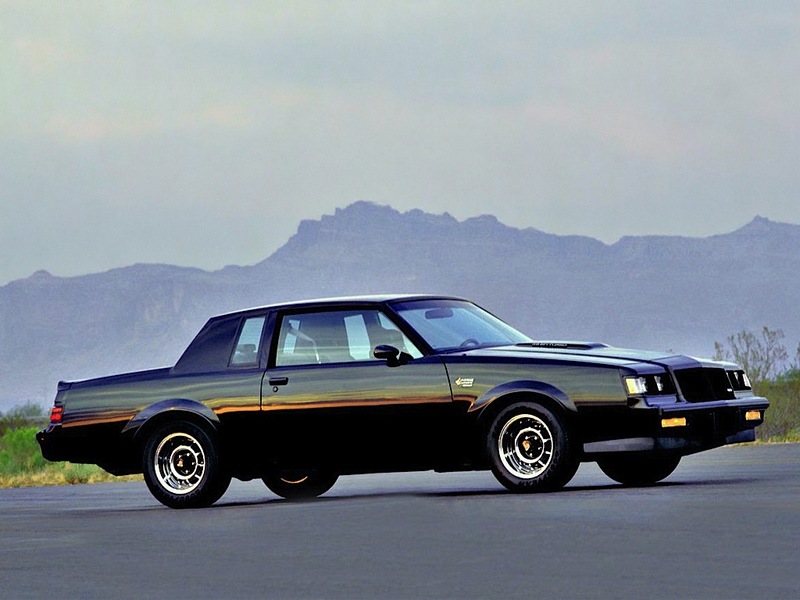 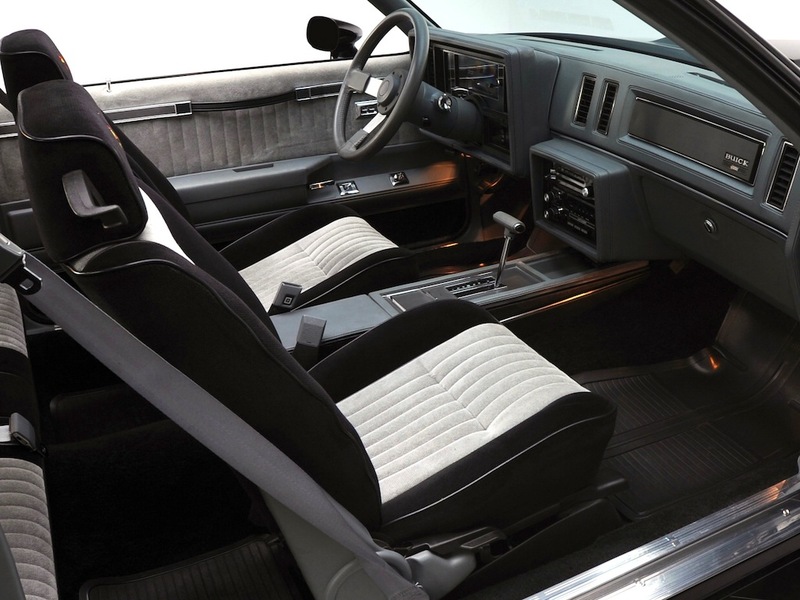 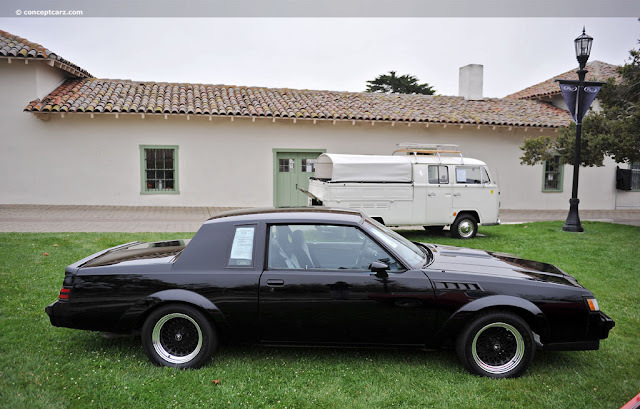 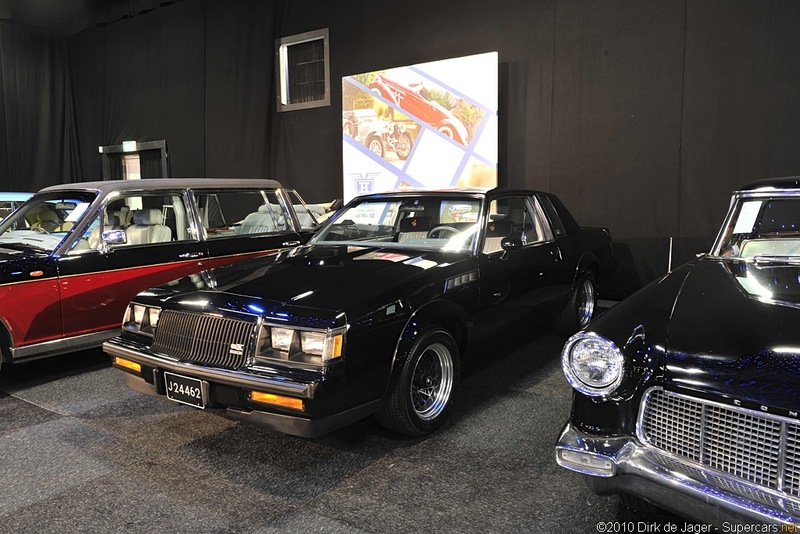 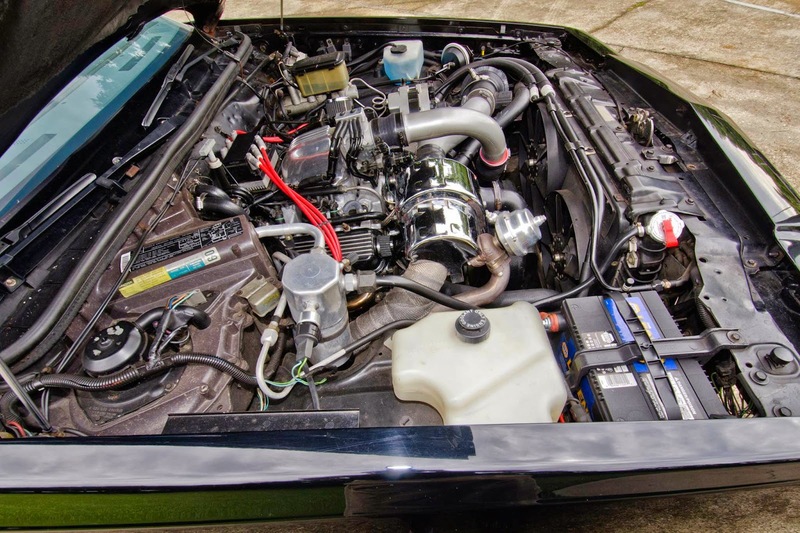 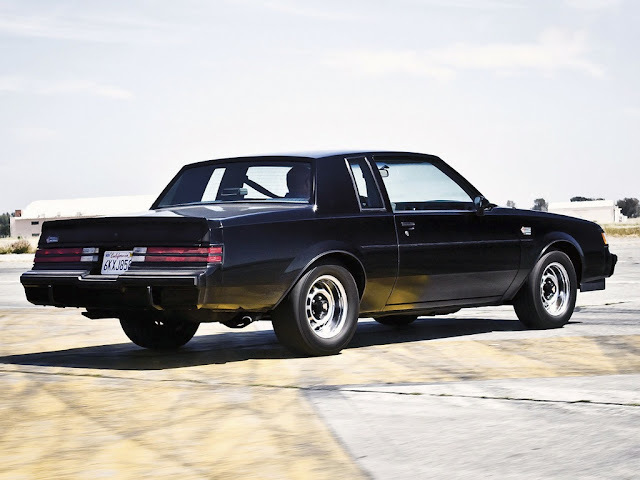 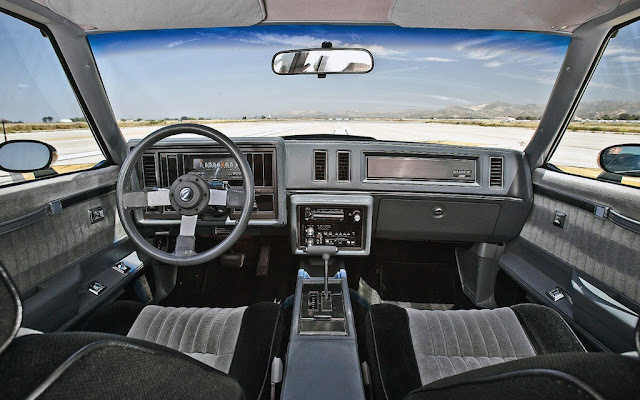 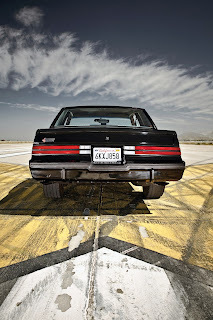 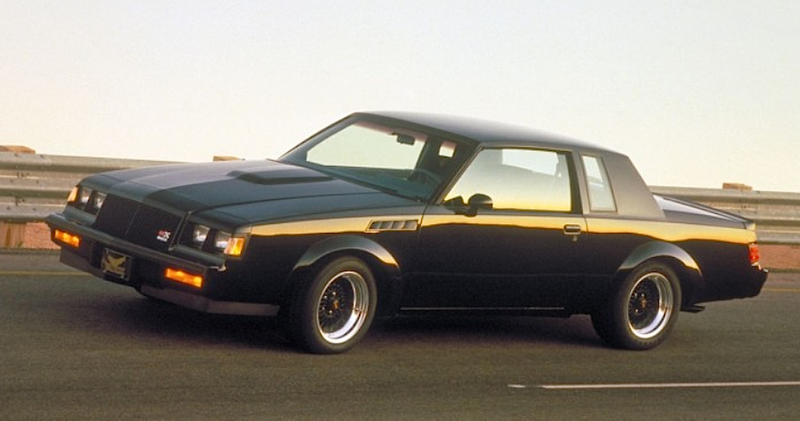 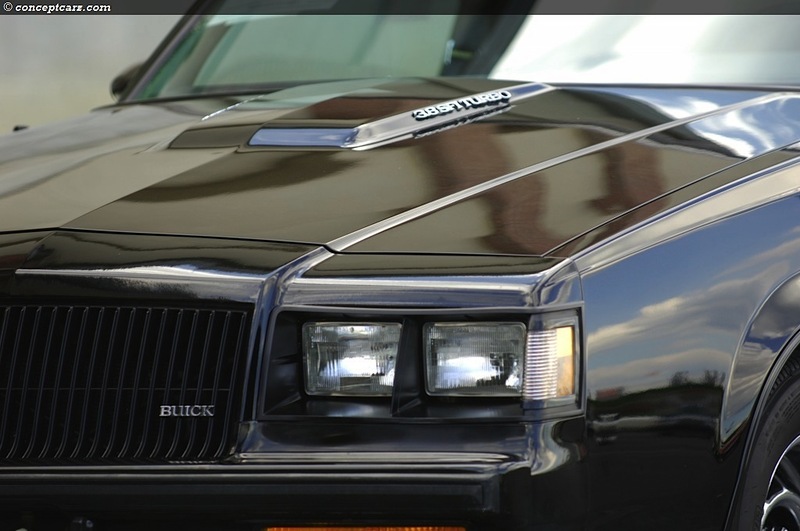 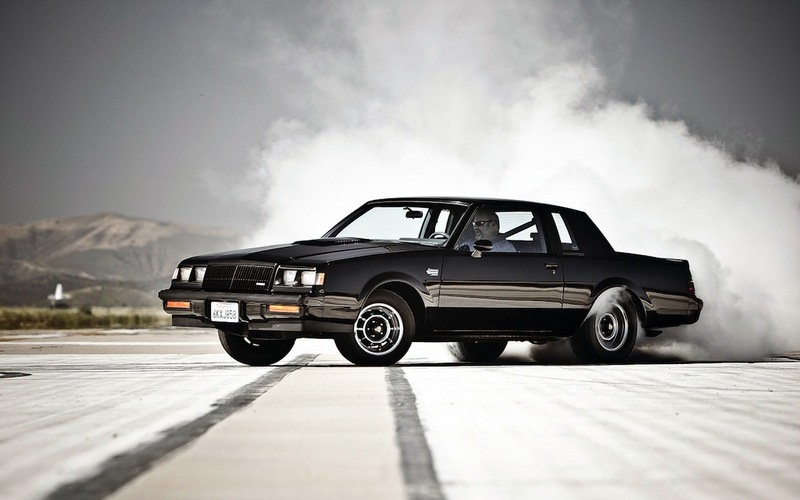 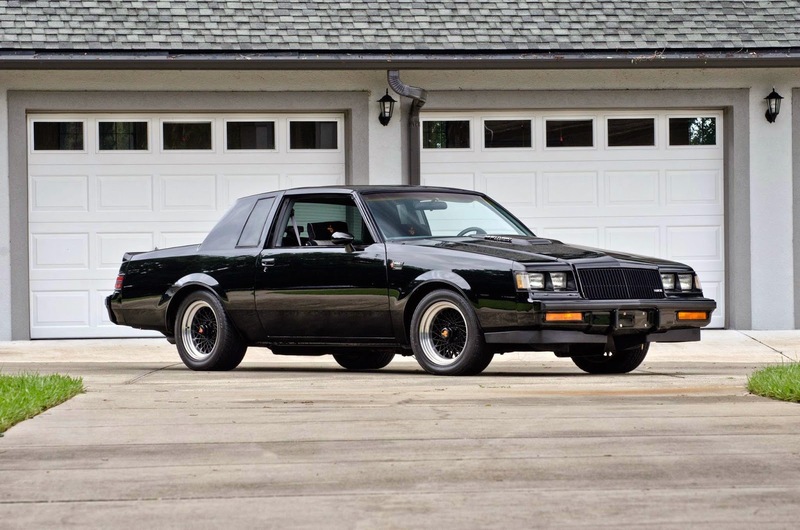 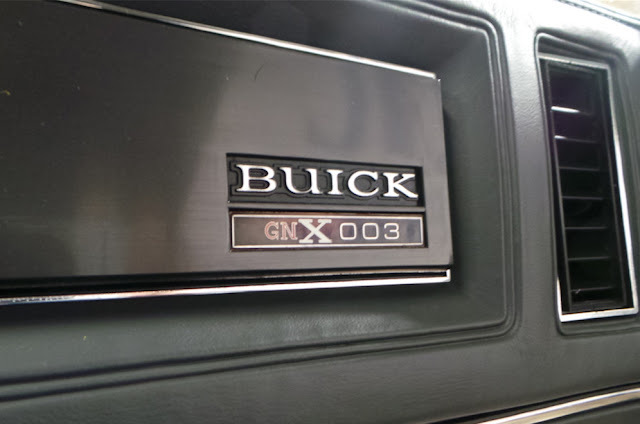 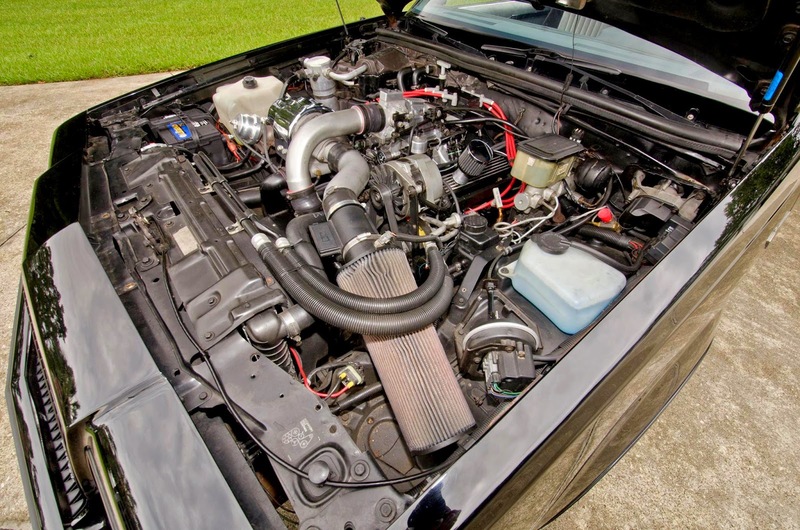 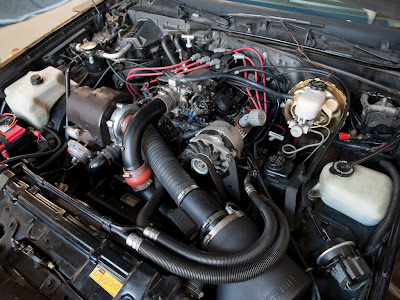 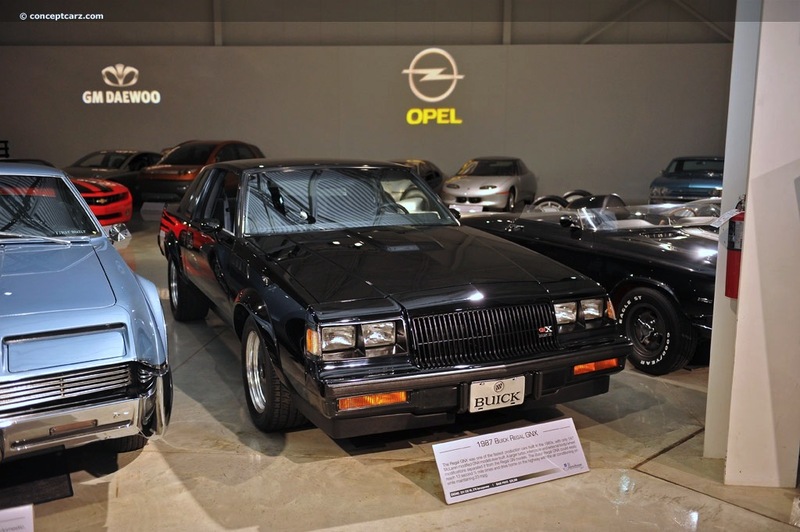 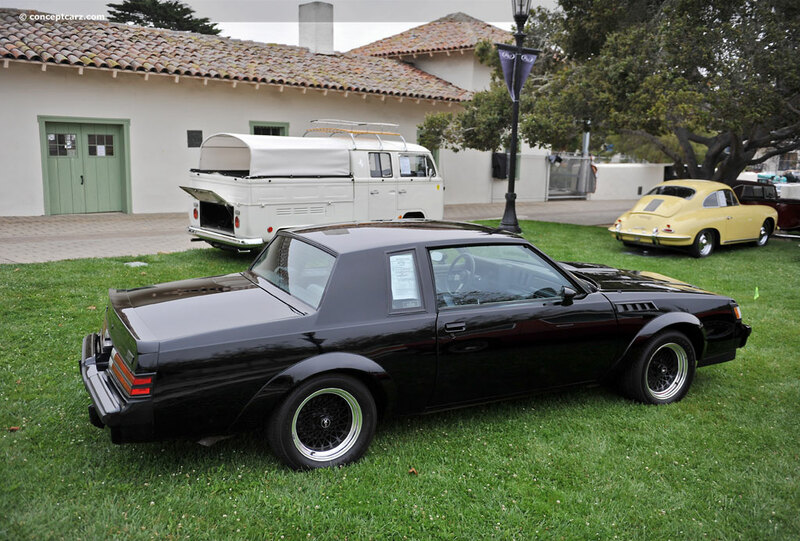 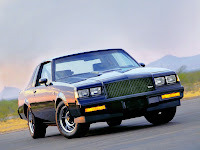 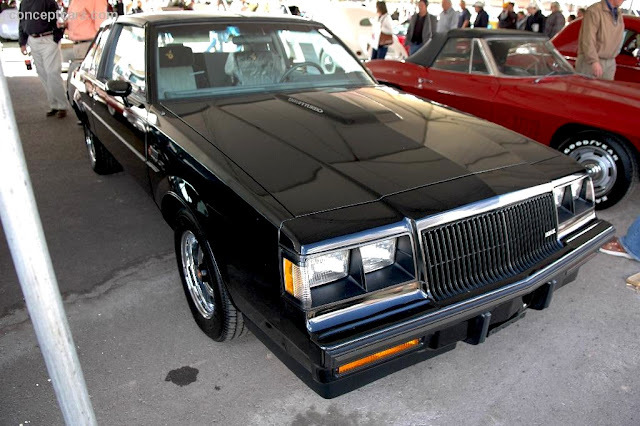 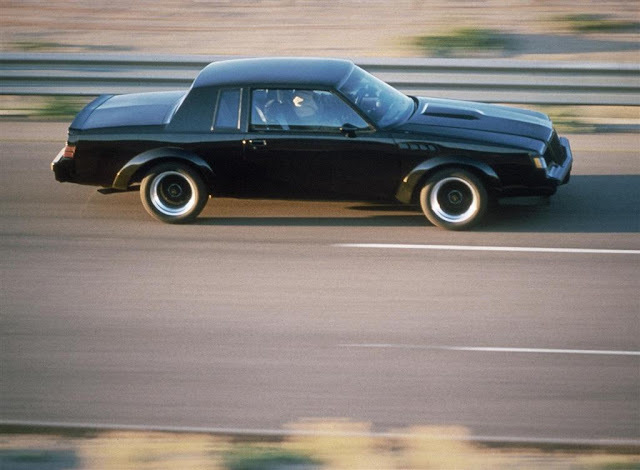 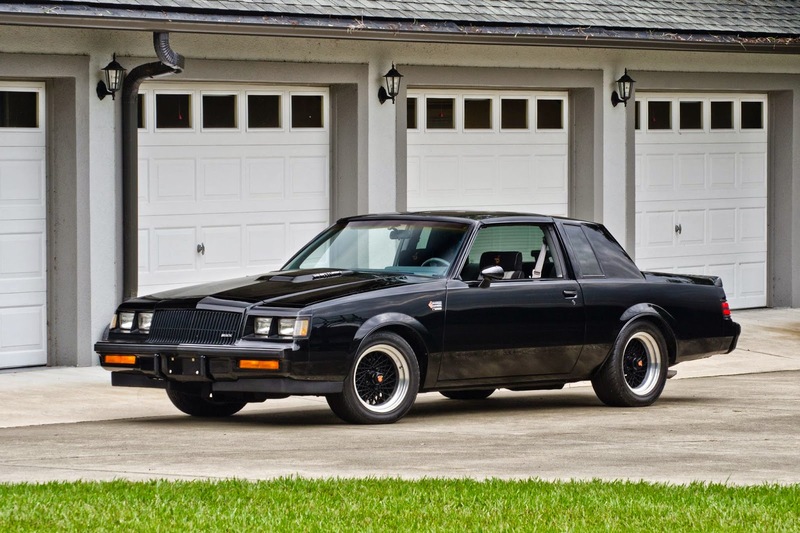 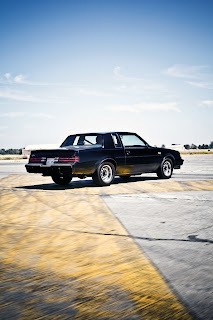 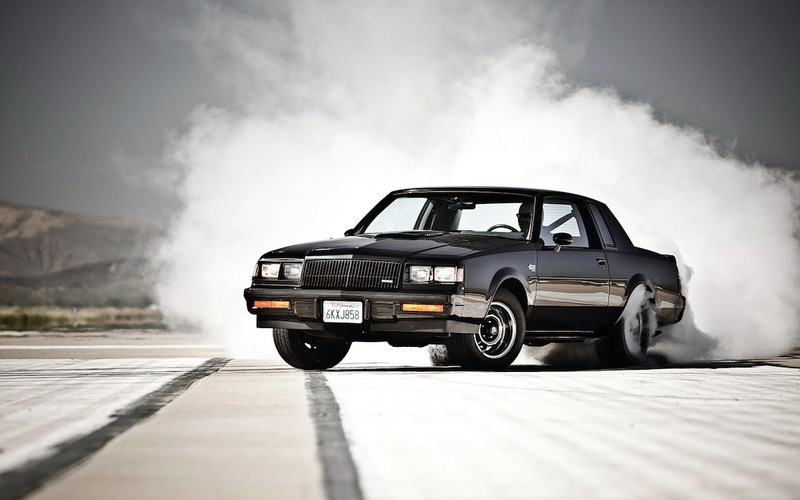 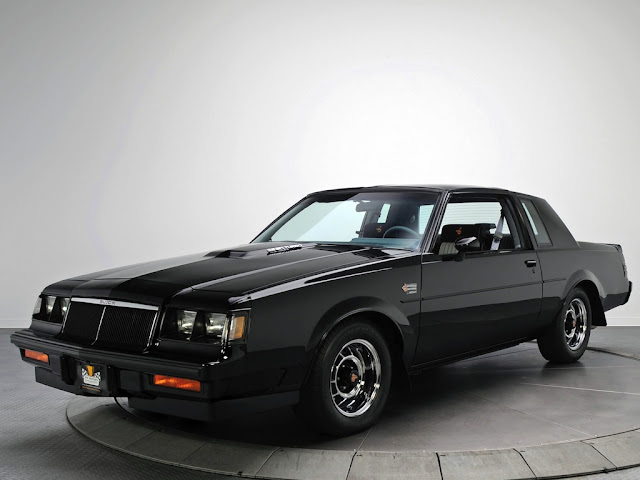 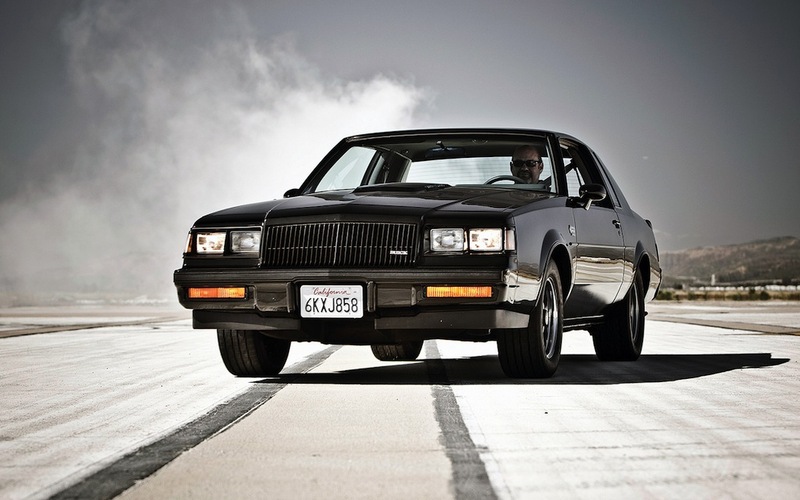 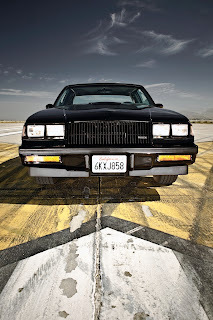 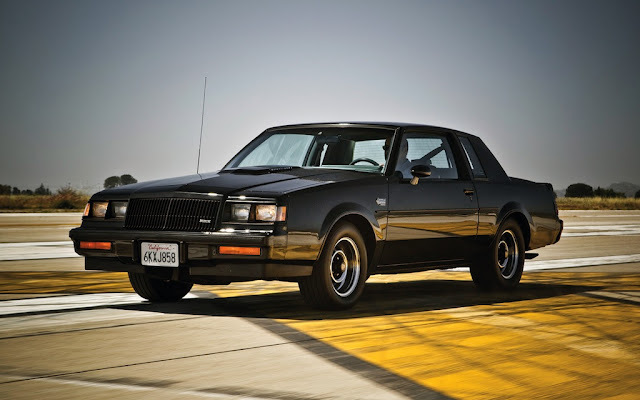 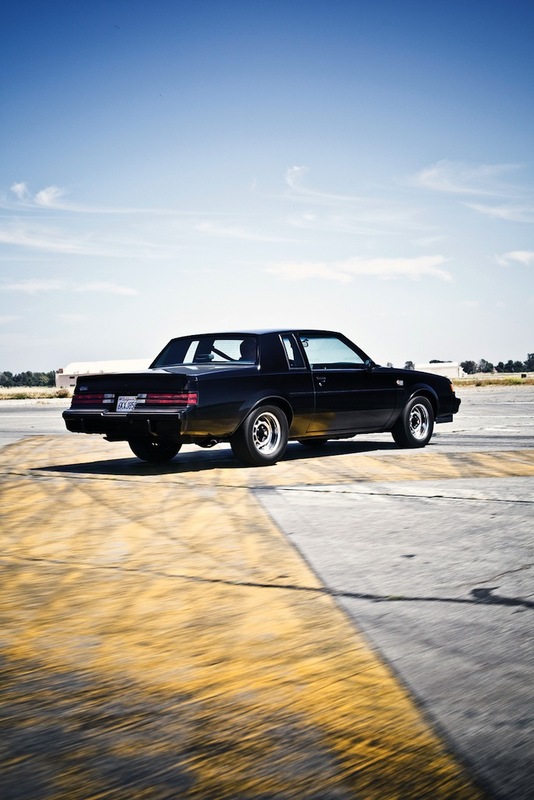 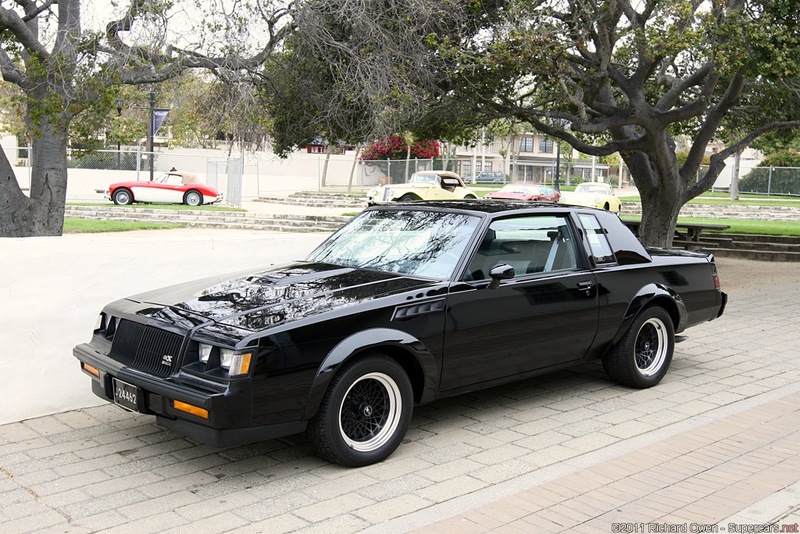 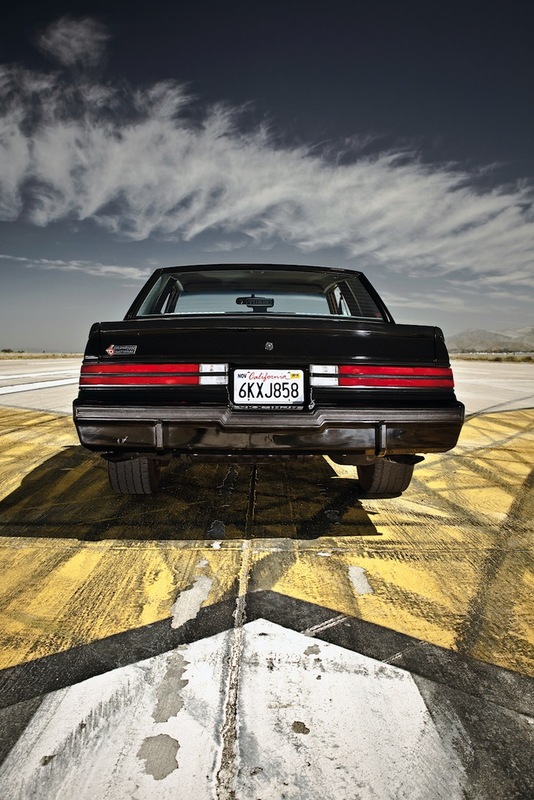 The first official Grand National bowed in 1982, but it was primarily an appearance package.In 1984, Buick put it all together a combination of appearance and suspension upgrades under the Grand National nameplate and the latest and greatest version of Buick's turbocharged V-6. 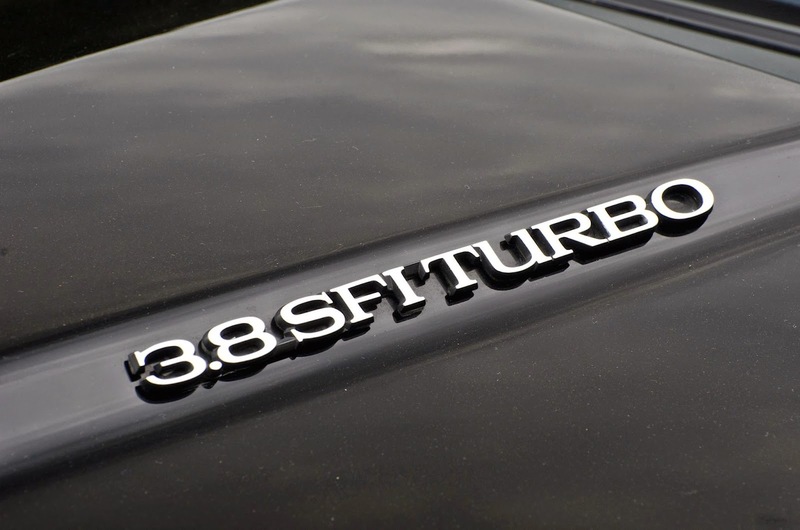 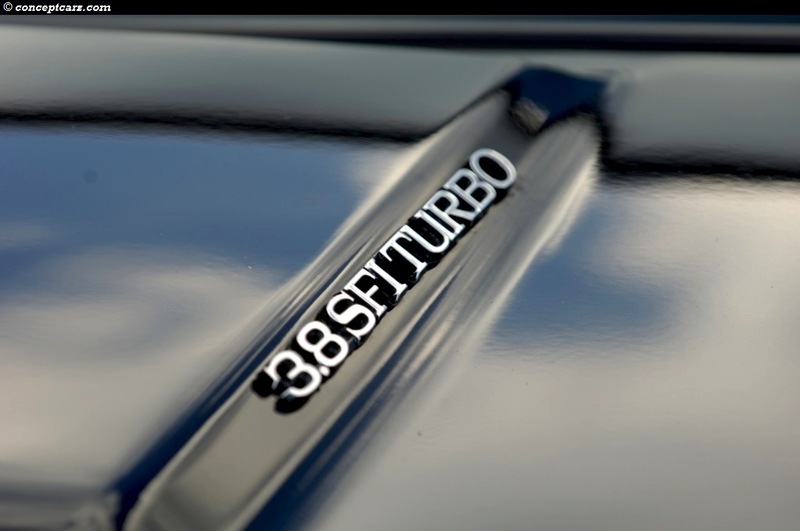 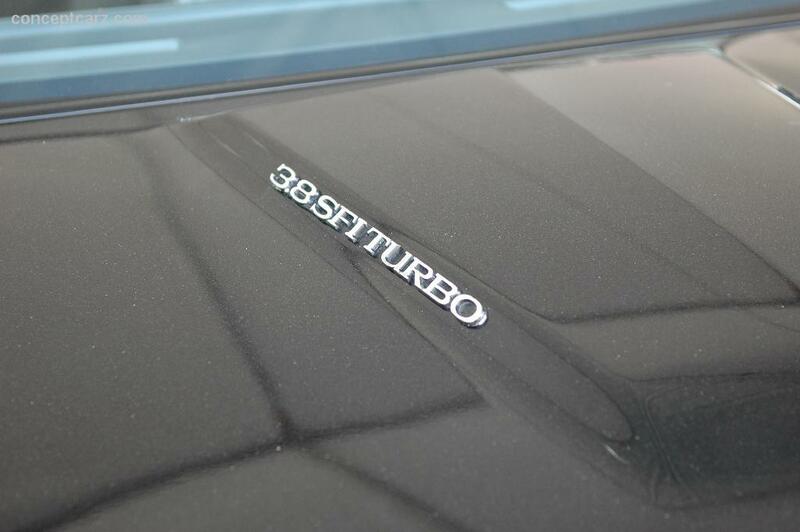 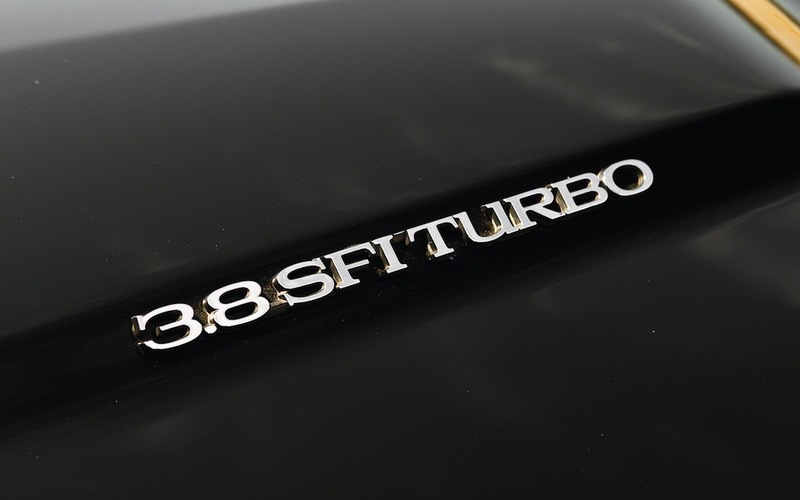 All the carburetors went away in favor of sequential electronic fuel injection (hence, a hood badge declaring 3.8 SFI Turbo). 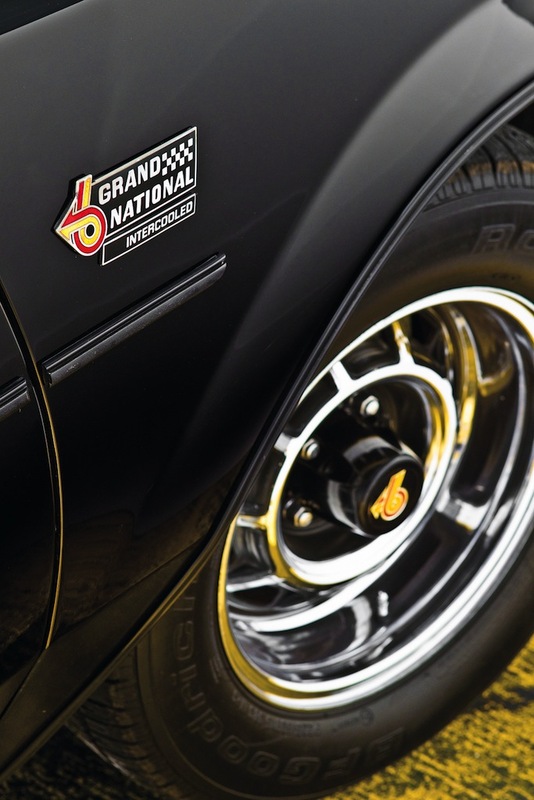 Those 1984 Grand Nationals were rated at 200hp.All of them had GM's TurboHyrdomatic 200-4R four-speed automatic transmission. 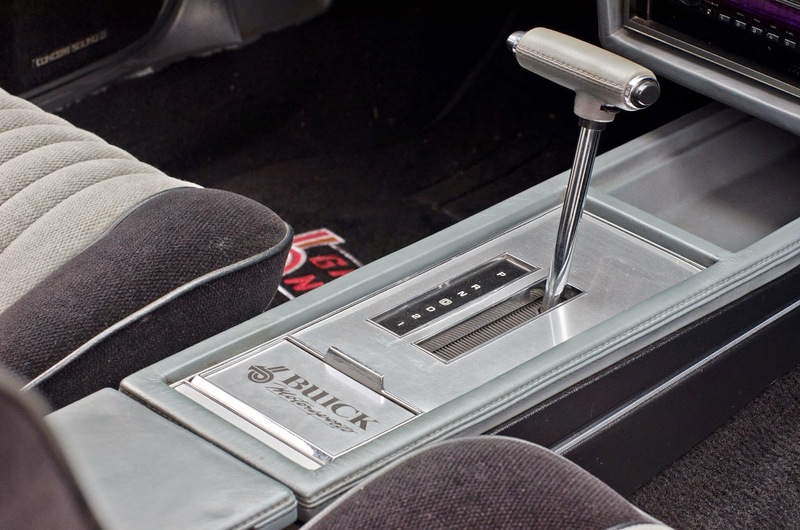 No manual was ever offered by the factory. 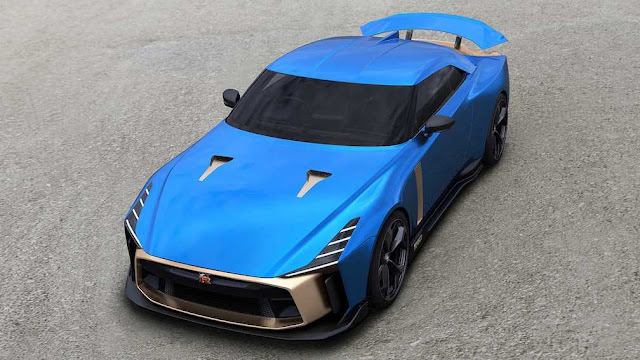 Most had black exterior, with blackout trim. 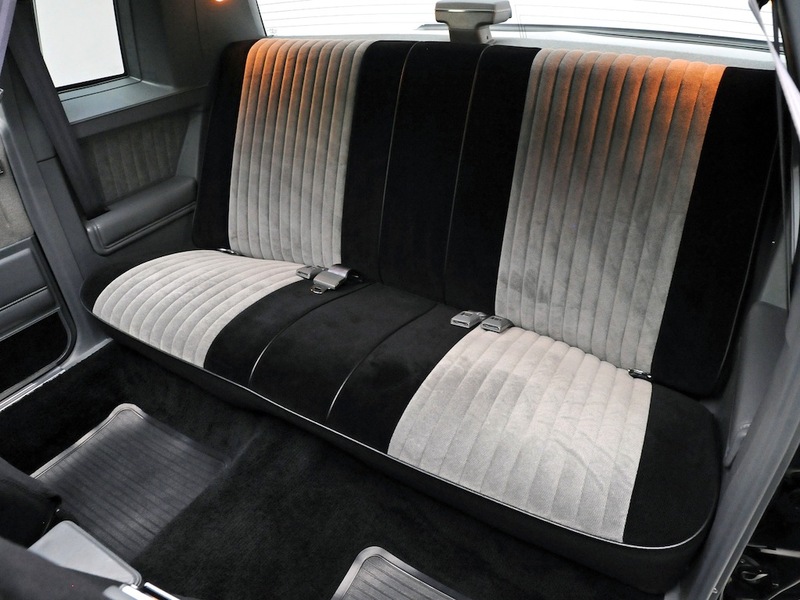 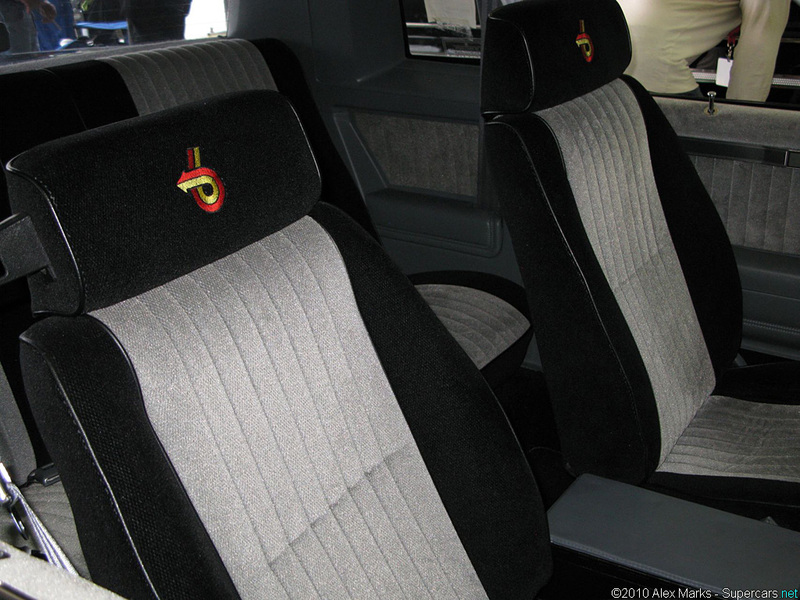 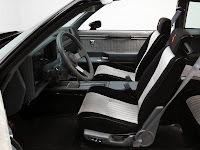 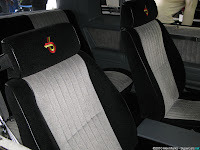 The interior was all flat surfaces and straight lines finished in a plethora of gray tones, and special fabrics on Lear -Siegler made seats. 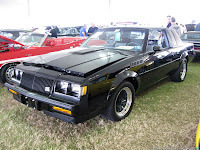 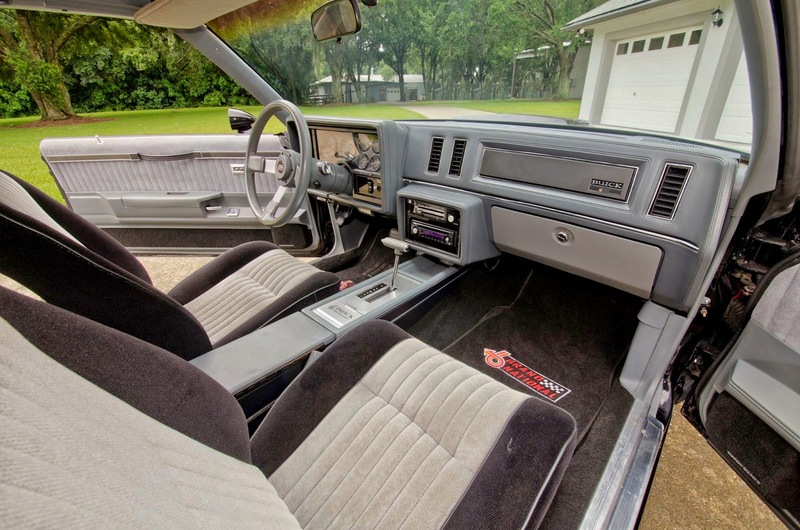 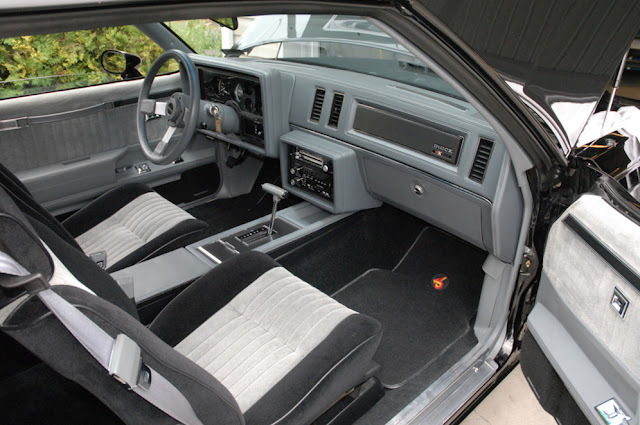 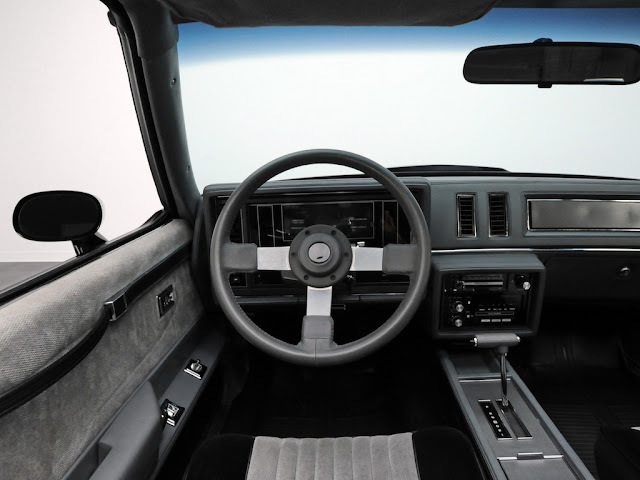 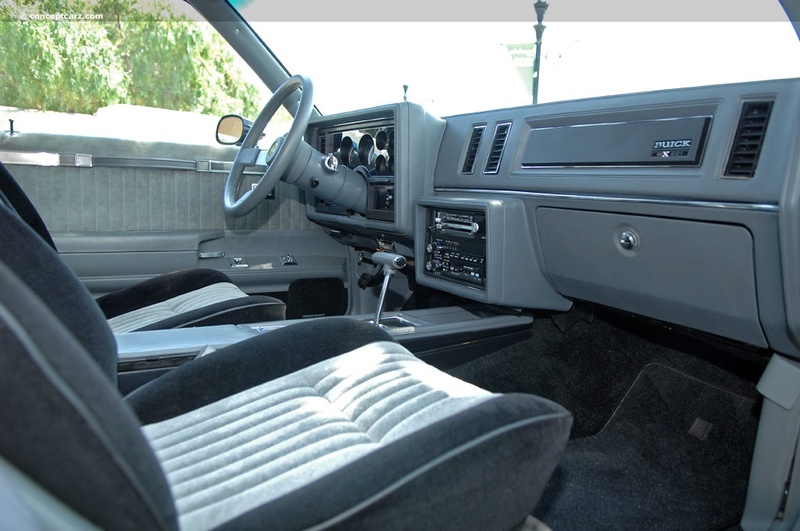 An estimated 425 of the 1984 Grand Nationals were produced with the T-Top option which makes these the rarest of the Grand Nationals. 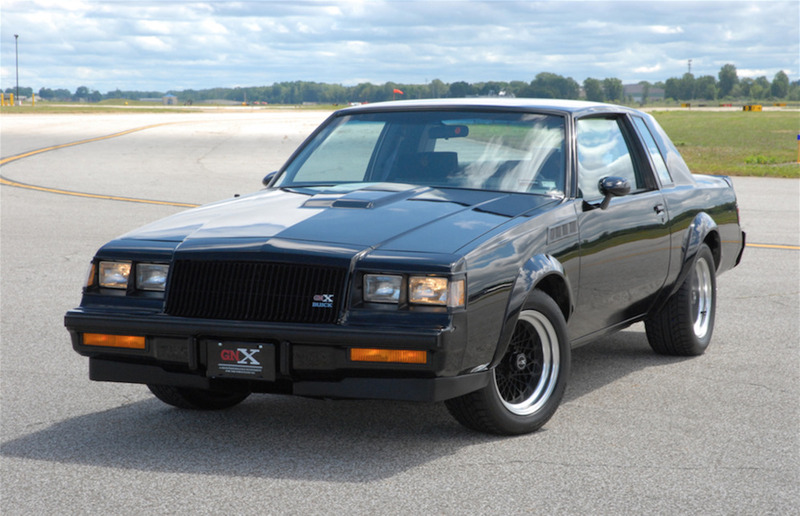 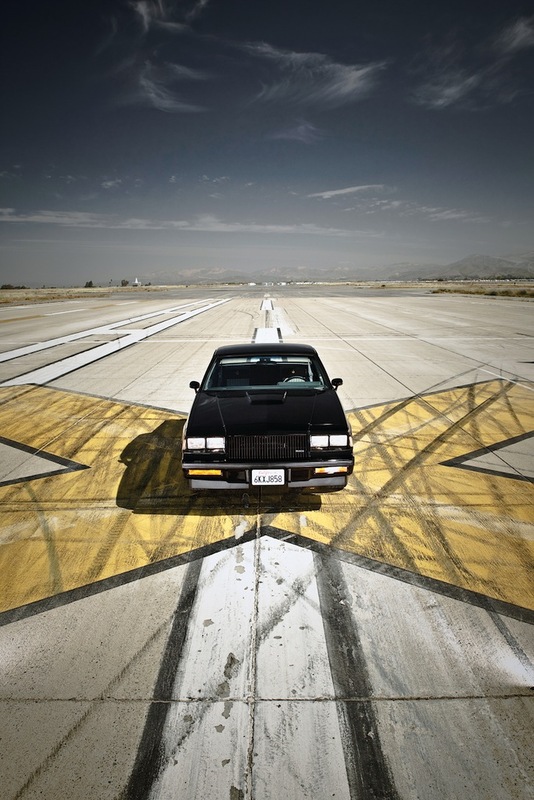 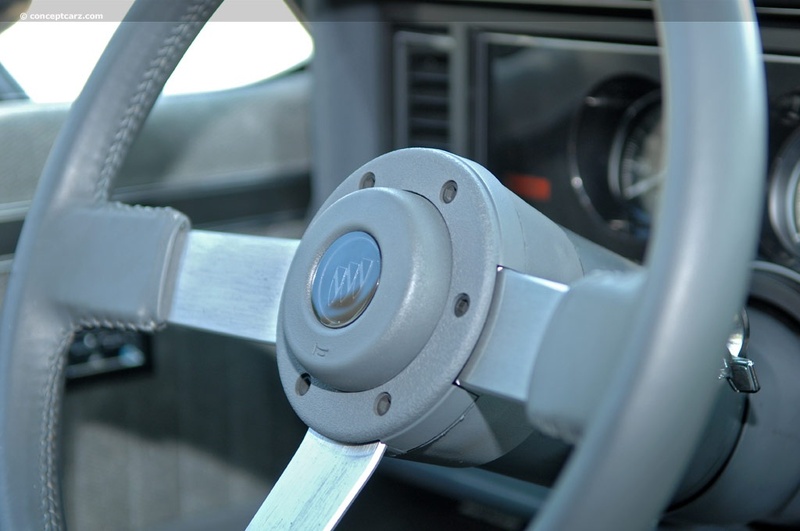 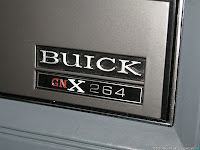 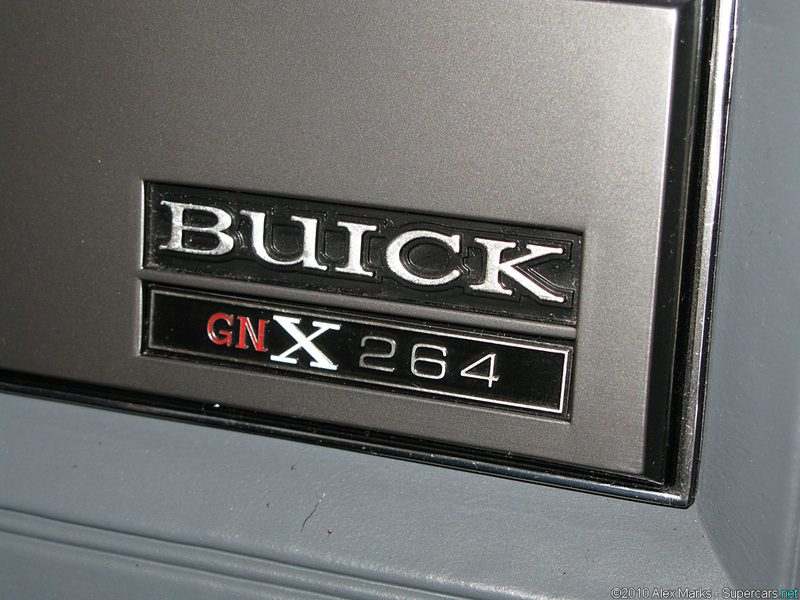 For the final year, 1987, Buick introduced the GNX. 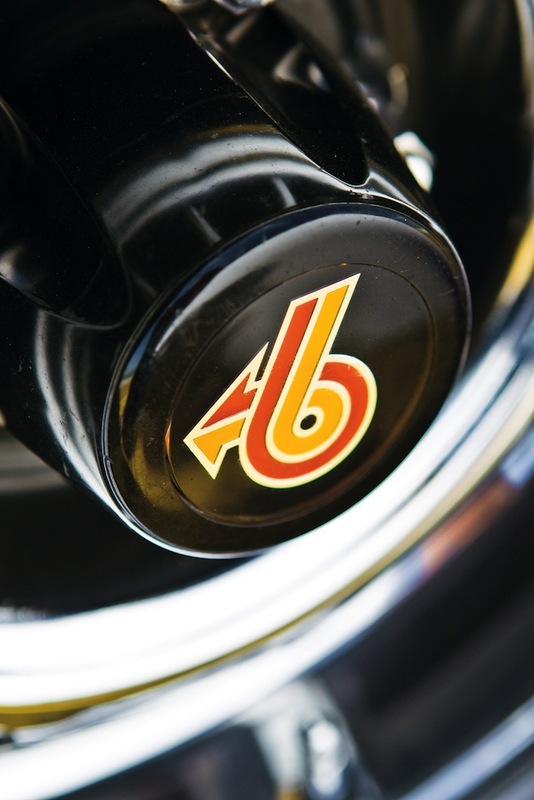 Produced by McLaren Performance Technologies/ASC. 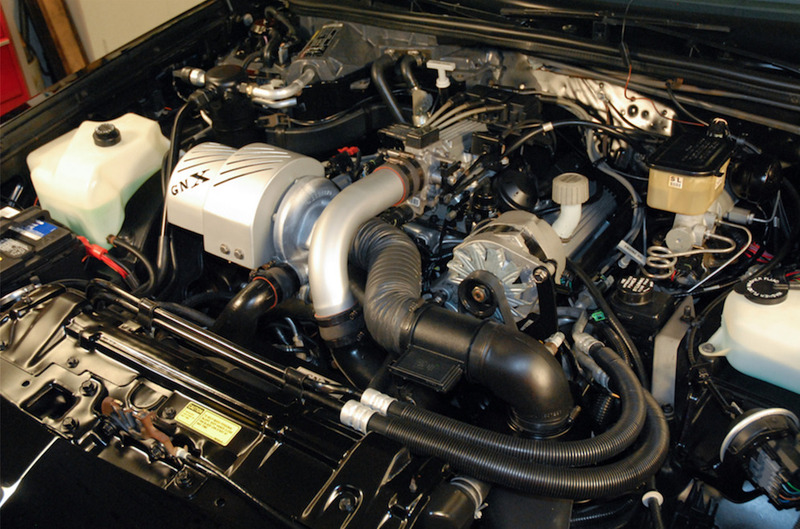 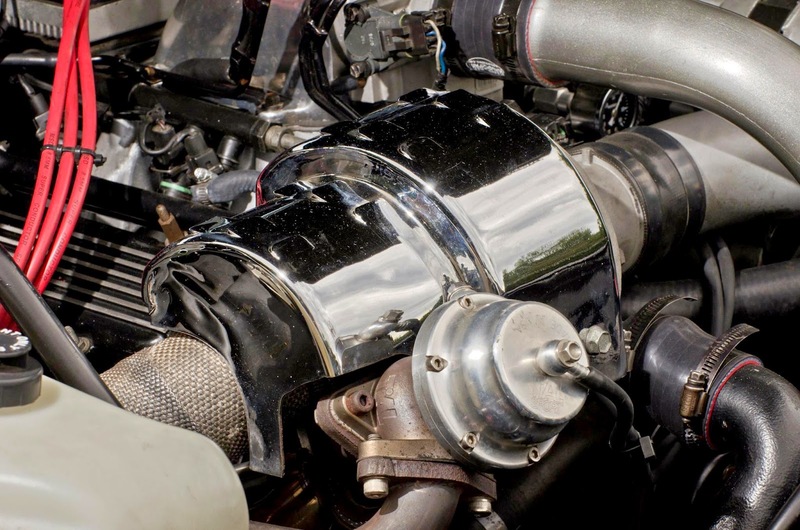 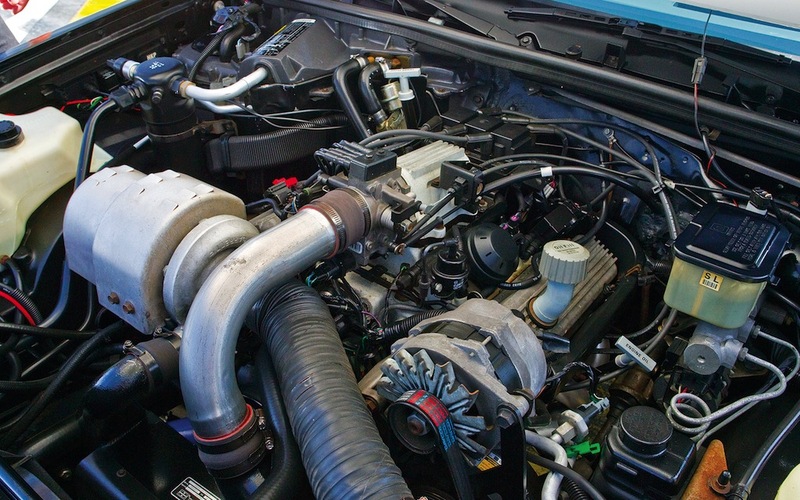 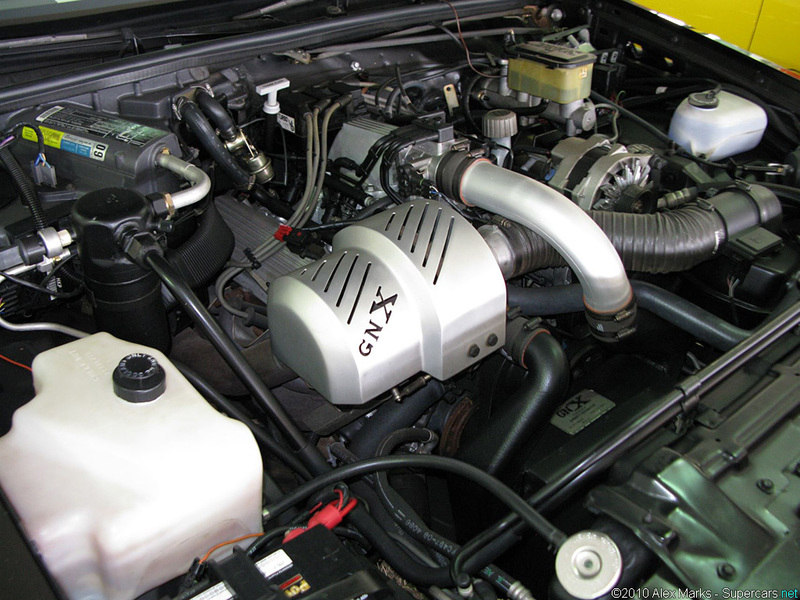 A Garrett T-3 turbocharger was added producing 276 hp. 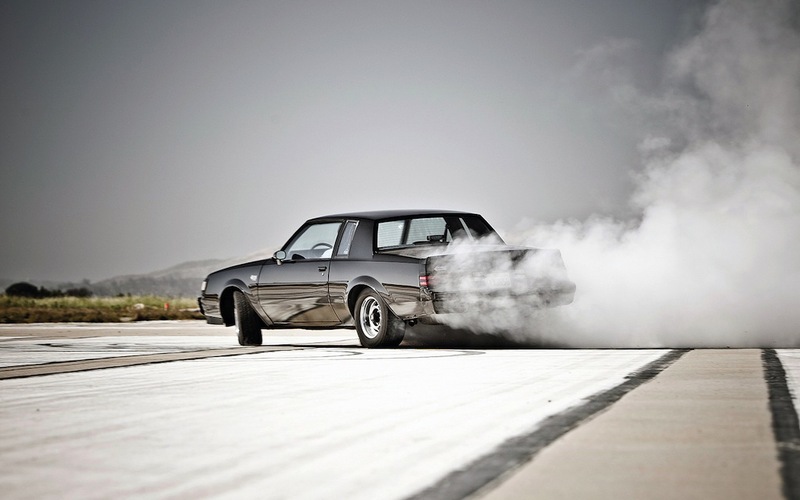 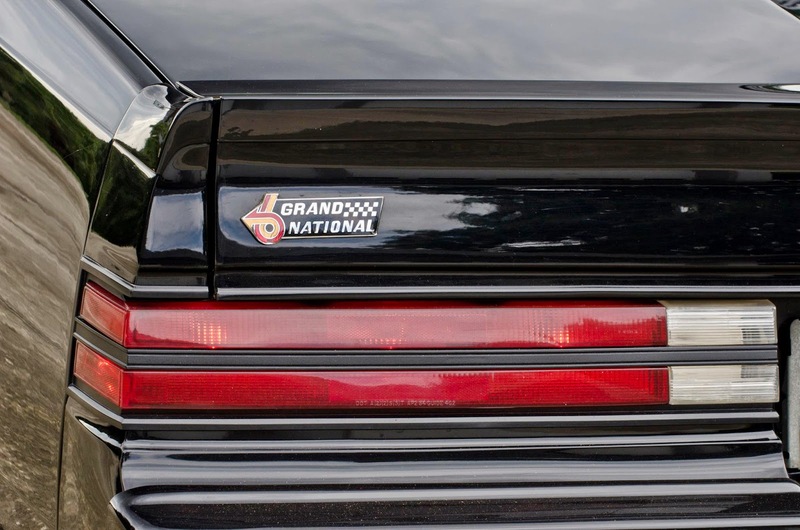 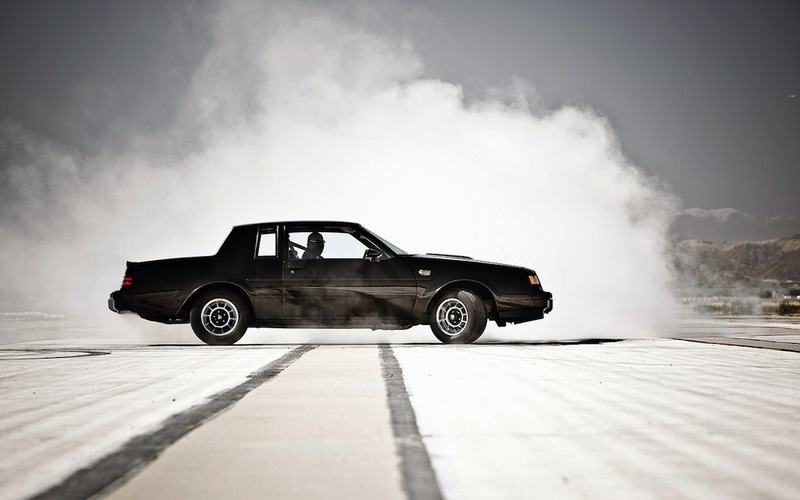 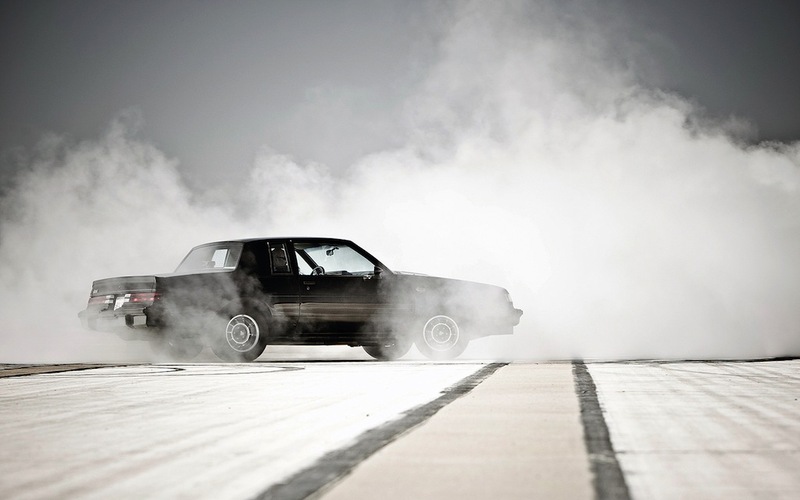 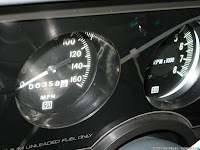 0-60 mph (97 km/h) took 4.3 seconds.Visually the GNX got the blacked out front grill of the Grand National, 16 in. wheels, and all the cars were sold in gloss black. 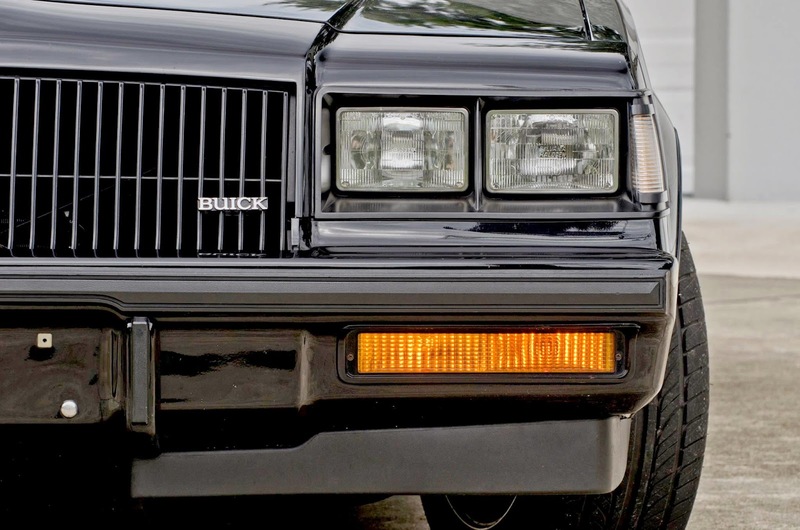 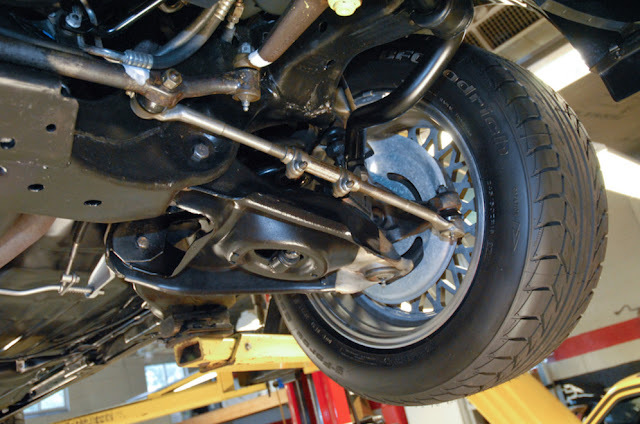 An additional vent was placed on the front fenders which is an identifying feature of the GNX. 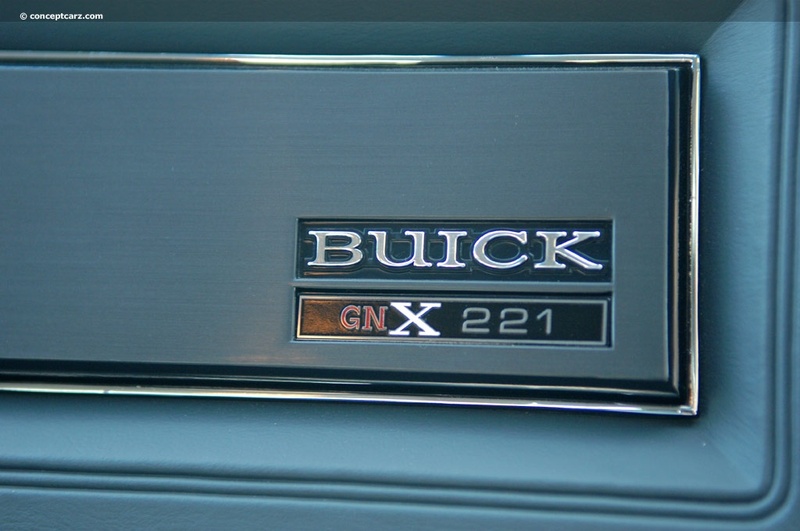 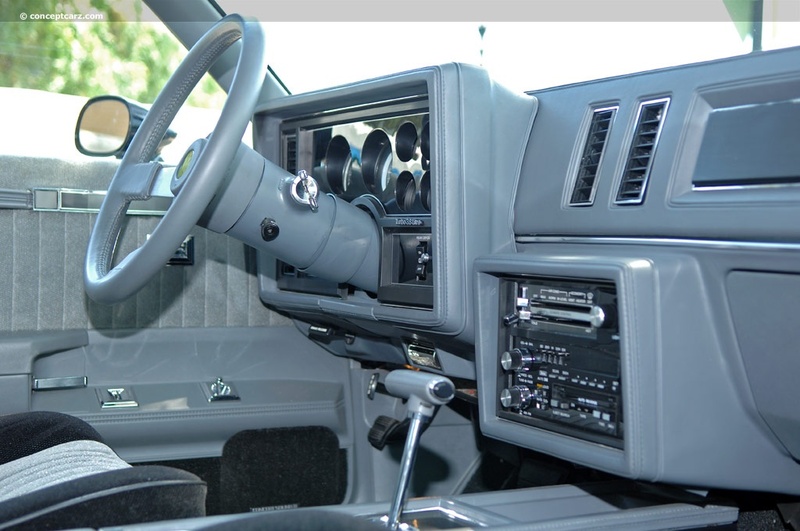 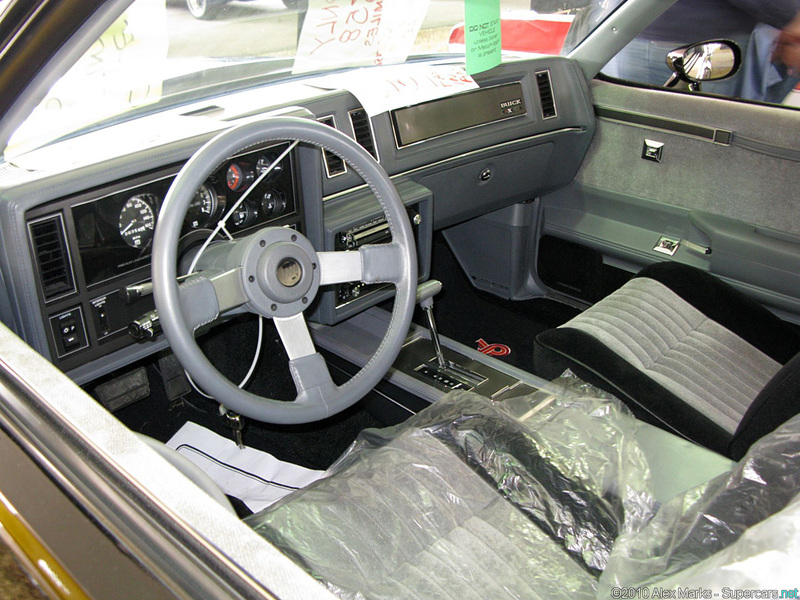 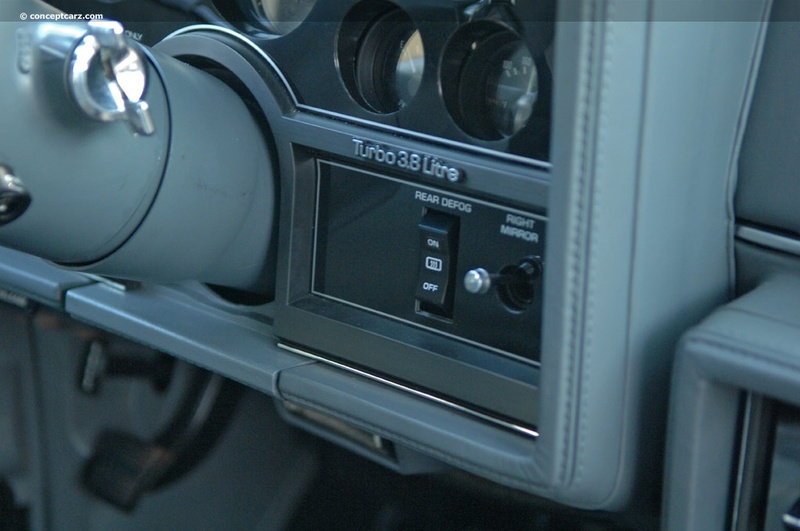 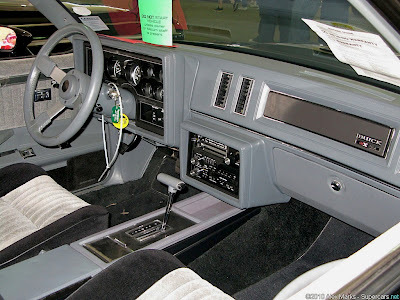 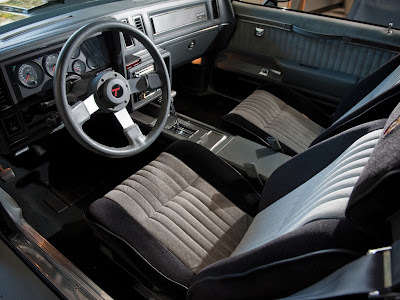 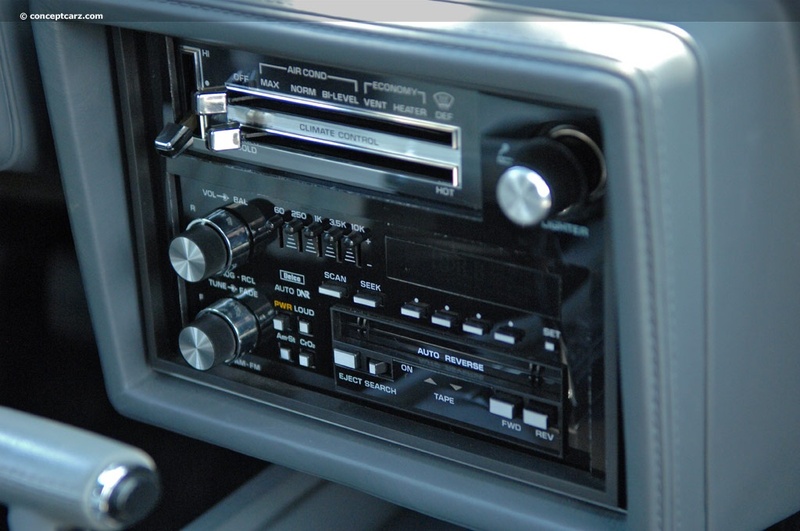 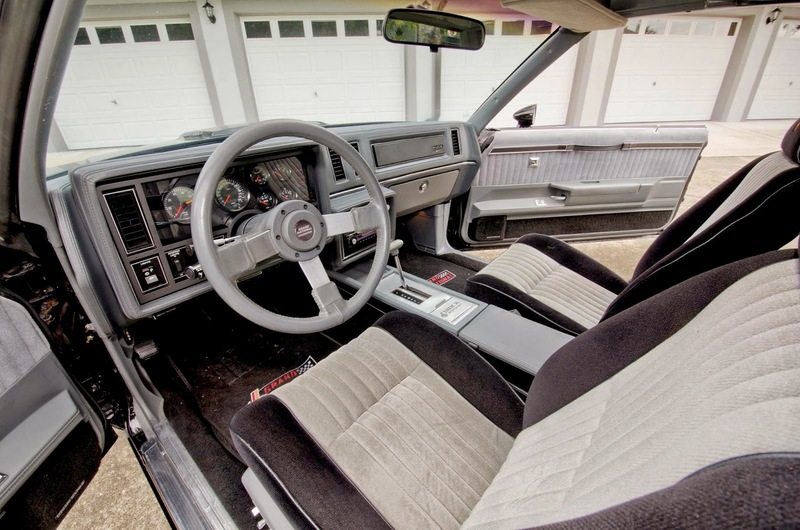 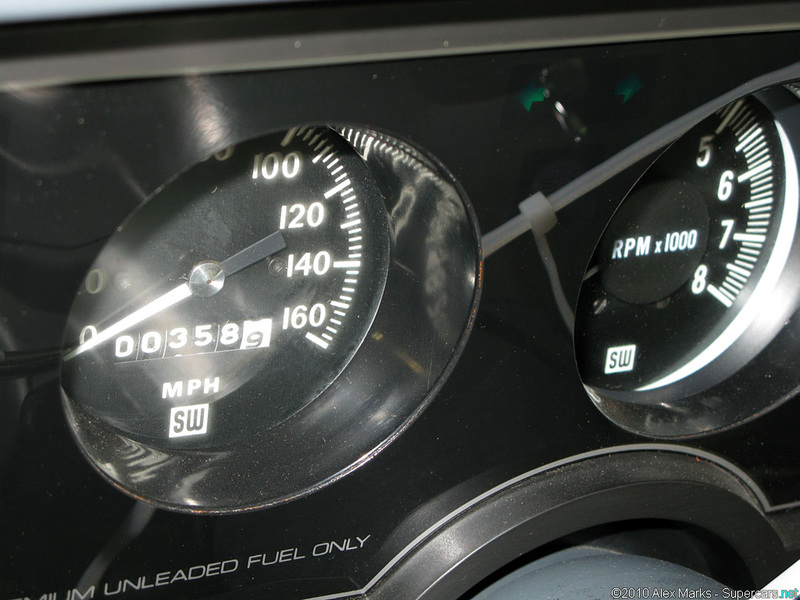 Only 547 GNXs were made and each had a serial numbered plaque on the dashboard. 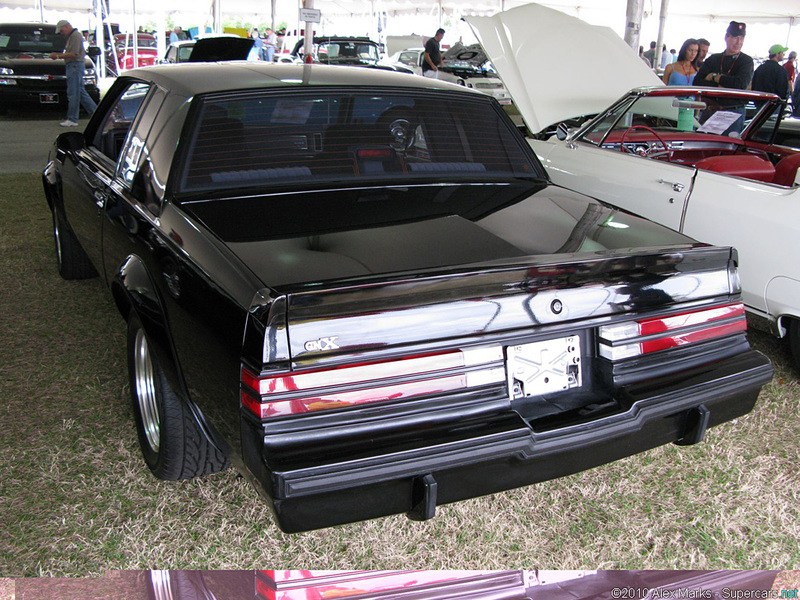 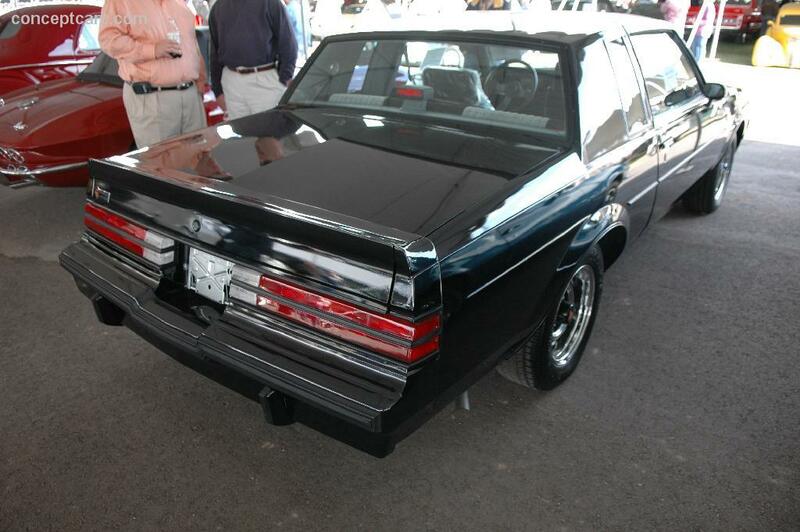 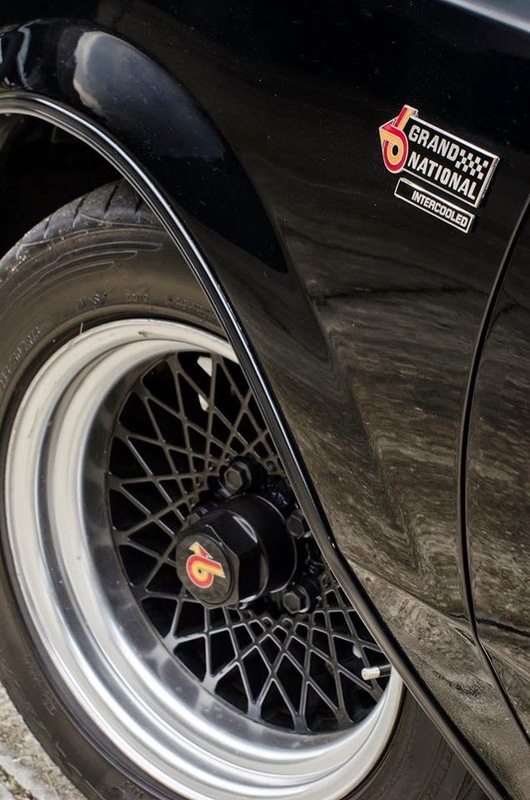 The stealthy appearance of the all-black GNX and Grand National earned the title of "Darth Vader's Car". Only 547 GNXs were made and each had a serial numbered plaque on the dashboard.